And I still cant walk in high heels. I only wear them for the first 2 minutes then I conduct the remainder of my sessions Flintstones-style. Ahh yes, but those 2 minutes Miss T......EXQUISITE!!!!!! I'll admit something embarrassing about myself. I've been needing to replace my makeup for quite sometime. But I'm a tomboy at heart. The last 3 times I've attempted makeup shopping I've stomped out of Sephora after becoming frustrated with being lost and the lack of assistance from their staff. I do ask for help and they always say they'll be back right away but I get forgotten, left standing there like an idiot for 30+ minutes. Send me a text next time I come to town & we can go together. If they keep us waiting more than 7 minutes, we find a manager, & tell them we are taking our money to a Shopper's Drugmart with a Beauty Boutique where we can get Optimum points! we are taking our money to a Shopper's Drugmart with a Beauty Boutique where we can get Optimum points! My friend just got $330 worth of stuff on her Optimum points! Sephora is a terrible place, the ladies at the Boutiques are a lot more knowledgable, not the young kids, but the ones who have been there for years. Light bulbs have changed a lot over the years and it can be tricky to find the right one. You are correct there GB. It used to be you just needed to know wattage but nowadays there can be more to it. As has been stated the Lumens is the amount of actual light output and Kelvin is colour but also affects brightness, and make sure you have dimming compatible bulbs if needed. All this information will be on the bulb packaging. For working areas (kitchen, office, shop) you’ll want around 5000 K which gives a bright white type of light and for relaxing areas such as dining area or bedroom go for the softer 2700 K bulbs (this goes for the ladies entertaining areas as well). If your doing anything artistic with colours then you’ll want to find ‘daytime’ bulbs which are a little more expensive but give off a similar spectrum as being outside. Otherwise your colours will look different inside vs with natural light. (the makeup area is one area in case any of the ladies were wondering why their makeup looks different in the mirror compared to outside). Also make sure you know the maximum wattage of your fixture and don’t install bulbs more than that as it will be a fire hazard. Now a days even the simplest of tasks require research. Maybe it's like a triage, they help the worst cases first? I just changed one of the lights in my track lighting but the new light is not as bright as the old? I tighted it as much as I could with out breaking it. Checked on YouTube for info but couldn't find anything. Anybody give me any advice? If it's an older track light fixture, it could be the ballast. That's the electronic component that limits the current (Amps) to the lights. These are an inductive ladder network that do degrade over time. Both fluorescent and track lights have ballasts and I've replaced both ballasts with a definite improvement to the lighting. If this is turning into a difficult task, it might be an idea to switch to an LED track light. Halogen track lights do not have an infinite life so if it's > 10 or 15 years old, it might be time for a new fixture. LED's have a lot more variety than they did even a few years ago. You can get tube LEDs now to replace even old-school flourescent tubes. They are good in track lights too, but I still see a lot of people going for halogens & such, because of the quality of the light. But I agree on one thing, it's more complicated now in this sense. Really it comes down to picking a good one for what specific location you plan to use it: What kind of room is it; is it a lamp or a ceiling light; is the light always on or getting switched on and off a lot; does it use a dimmer switch, etc. Personally I prefer LED's and dislike compact flourescents (CFLs). 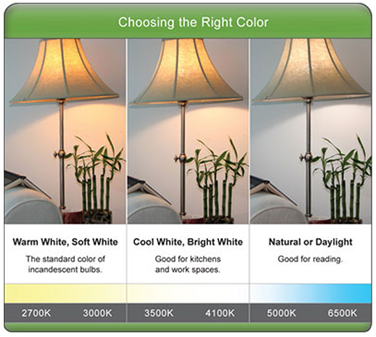 CFL's are slow to heat up to their full brightness, remaining dull looking for a few minutes, so they're not good in a location where you're switching the light on and off a lot, nor if it's the only light in the room and you'll have problems with dull light. If you get a halogen light, be careful about where you install them, because they get really hot. A SJW that can't figure out a light bulb- yup, sounds about right to me. "Hungry? Here- pig out on knuckle sandwiches!" Reid Fleming- World's Toughest Milkman. How many pooners does it take to change a light bulb? ... I don't know... But I bet somebody will F$&%K it up. #1 to hand his money over for the wrong wattage, and then complain about it in a review, but because the seller was having a special there are no refunds. #2 to question his review, and type out another opinion ,to contradict the purchase , while the seller remains quiet, as they don't want to lose future clients for their light bulbs, as they've spent money for advertising. #3 to call a shill, about #2....and get banned, for at least a week for insulting someone and a light bulb, that's performing it's job, at the wattage its designed for.....but perhaps the fixture it was installed into was too small. If you show up with tiny little modern halogen.....don't be surprised when it won't go into a good ole fashioned, tried and true fixture, that's worked just fine for years. How many British Columbians does it take to change a light bulb? Looking at the British Columbia economy I'd have to say that it takes 3 British Columbians to change a light bulb. One British Columbian to hold the light bulb and 2 more British Columbians to turn the chair around that the first British Columbian is standing on. Of course, both the chair and the light bulb had to be imported since British Columbians are too busy screwing in light bulbs to make their own chairs and light bulbs. This comment is turning my lights on, if you know what I mean. I've admired your high beams for some time now....which is why I prefer colder climates, and hanging out in the freezer section at Supermarkets. How many Albertans does it take to change a light bulb? N/A - they just sit there forever, denying the room is even dark.